« Bent on Bourbon becomes Arch’s next GSW! 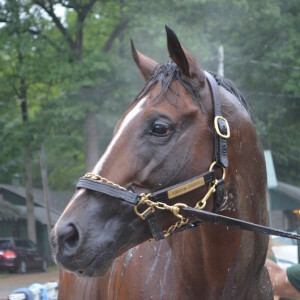 Bourbon Lane Stable announced Sept. 24 that millionaire Bourbon Courage has been retired from racing. The partnership had been hoping the son of Lion Heart would bounce back from a torn suspensory sustained when he stumbled during the Priority One Jets Forego Stakes (gr. I) Aug. 29 and get a second shot in the Breeders’ Cup World Championships at Keeneland.